Summary: I expect upwards movement to about 18.812. This wave count is changed from last publication. If minor wave 1 was over lower and more recently, then it has a better fit. 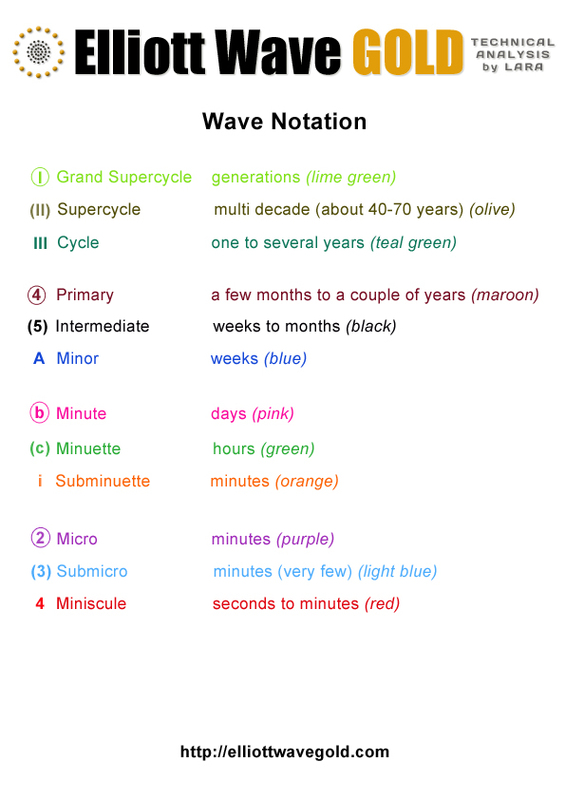 Ratios within minor wave 1 are: minute wave iii is 0.81 longer than 4.236 the length of minute wave i, and minute wave v is just 0.04 longer than 0.618 the length of minute wave iii. Minute wave iii has the strongest downwards momentum. Minute wave v ends with an overshoot of the Elliott channel. This impulse has a typical look. Minor wave 2 is most likely to reach up to the 0.618 Fibonacci ratio of minor wave 1 about 18.812. Minor wave 1 lasted 86 days, just three short of a Fibonacci 89. Minor wave 2 may total a Fibonacci 34 or 55 days. So far it has lasted seven days. My calculation of this 0.618 x wave 1 is 19.081. (wave 1 = 21.579 -> 15.040??). The difference doesn’t quite matter, but am I missing something here? I noticed the difference. I did the calculation manually and came to the same conclusion you have (except I have the low at 15.067). The problem is Motive Wave and what its doing with Fibonacci retracements. I think its wrong, but as you say the difference is not great enough to matter too much. Its annoying though. But I had to let it go and move on. 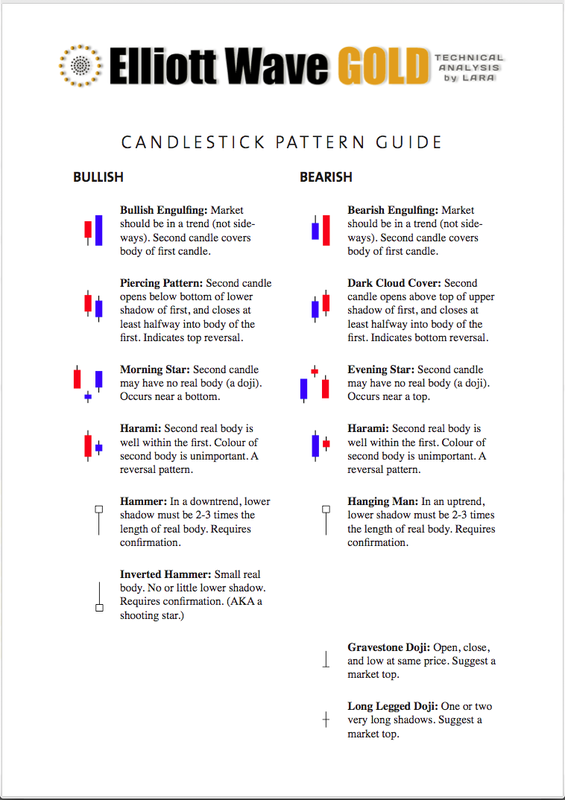 To make it worse… I noticed a difference when I put the same Fibonacci retracement on the same high – low on the daily chart and the hourly chart. Ugh. I’m letting that one go. There are more important things to worry about. 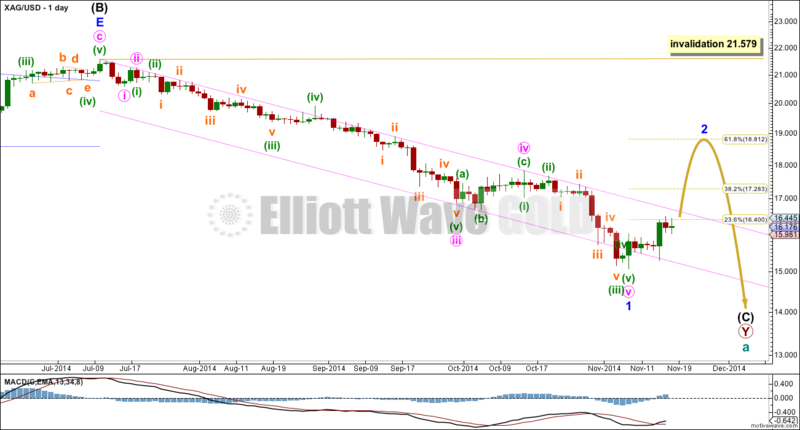 During the next few months you expect Cycle wave b to commence in both silver and gold. Given the propensity of both to display expanded flat type corrections, would you think it likely that Cycle wave b would move well into new high territory. I could certainly imagine that there would be a cruel ending to gold bug dreams in the shape of Cycle wave c.